The Adjustable Bed Tray is a versatile dinner tray. The legs fold out so that it sits over your lap in a bed or chair. Great for enjoying leisurely reading, crosswords etc. Attractive and convenient with style all entwined. 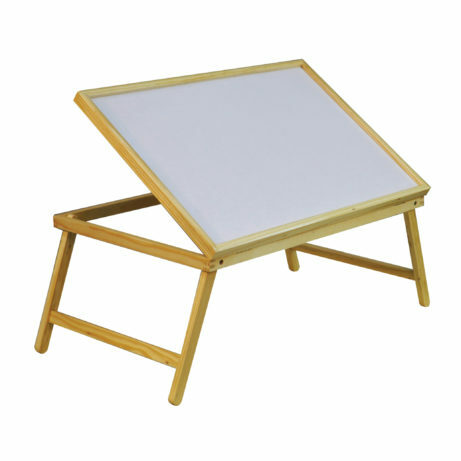 The tray can be tilted up to 45 degrees which helps when reading books or magazines etc. High-quality laminated wood finish which allows for easy cleaning with just a simple wipe down.